Best Passport Photo Store in NYC, NY. Digital Visa Photo in NY. Passport Photos - No appointment necessary, please walk in. All Passport Photos will be ready in a couple of minutes while you wait, including digital photo. Where we are, business hours, contact us. US Visa Photo, Digital US Visa Photo for DS-160, Green Card Photo, US Citizenship Photo. Questions and Answers about our Passport Photo Services are here. List of Passport Photo and Visa Photo Services we provide. Digital Passport Photo. Digital Visa Photo. Canadian Passport Photo, Canadian Citizenship Photo, Canadian PR Photo. Color Background ID Photos with Gray (Grey), Blue or Red back. Gun Permit, Pistol Permit & Firearm License Photo. Passport Photo is not your portrait photo. It is a part of Legal Document. Bad photo is the most common reason for Passport and Visa rejection. After the 9-11, most Passport photo and Visa photo rules were changed. Your Biometrics data will be shared digitally among US and other Governments worldwide. Good Passport Photos and Visa Photos provide right identification, that will prevent unnecessary problems. Why Can't I Smile in my Passport Photo? Why do I have to remove my Eye Glasses? It's official. 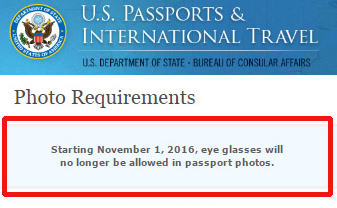 As of November 1, 2016, no eyeglasses are allowed in US passport photos. helps prevent fraud by electronically verifying identity based on each person's unique facial features. a line at an airport for "personal ID check" in a private room. International Civil Aviation Organization is a United Nations Specialized Agency. Lean more about Biometric Passport Photo in practice. The US passport photos and Immigration photos must be photographed according to the strict regulations described in official publications by US Government. passport and visa photos precisely as requested. No appointment necessary. Please walk in. Can I preview my image? Yes, you can preview your image before printed. How long does it take? All Passport Photo and Visa Photos will be ready while you wait. We will E-mail the Digital Photo or on CD. we need extra graphic editing or handling. Info about our Passport Photo Services is here (about us, appointment, etc.). US, Canada or EU countries have no written "dress code" for Passport or Visa Photos. 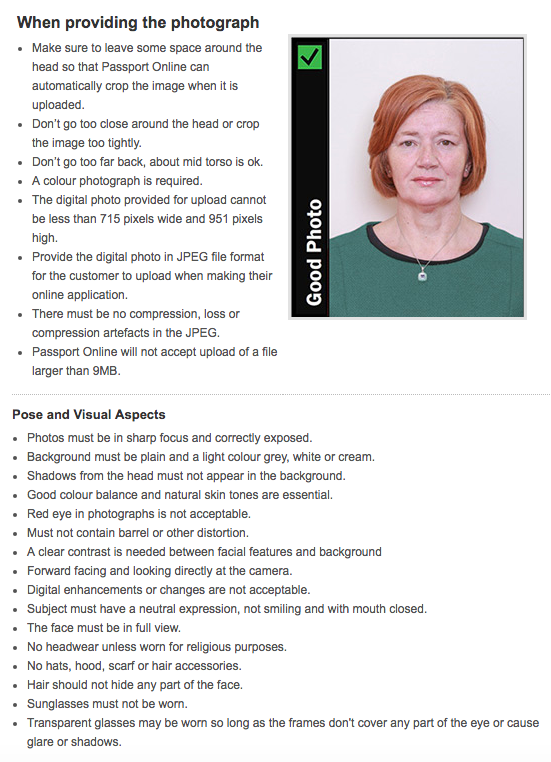 However, here are some tips on what to wear for Passport Photo or Visa Photos.. In general, cover your shoulders, no white clothing and no big earrings. Some countries are very particular about your clothing. If you are taking passport photos for the following countries, you must check application. Jamaica, Hong Kong, Philippines, Iran( women only) and Saudi Arabia( women only). White clothes should be avoided. These photos will be rejected because " There is not sufficient contrast against background" for Passport or Visa applications. Remember that they will collect your biometric data by scanning your photos - if the machine cannot get enough contrast of your head and shoulders against background, your Passport or Visa applications will be rejected. 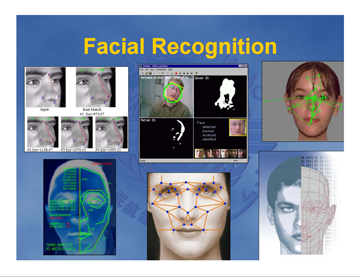 To collect your facial Biometric data, your neck should be clear. Please cover your shoulders. You look almost naked in Passport or Visa photos. Bringing a shawl to cover your shoulders would be a gracious idea. Some counties do not allow to wear earrings (like Philippines and US Green Card photos). Some counties do not allow eyeglasses, like French Visa and Mexican Passport photos. UK(Britain) "recommends" not wearing glasses. 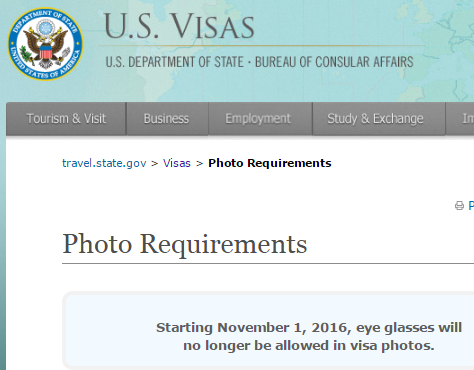 No glasses in US Visa photos as of November 1, 2006.
what is in your passport or visa photo. We had done thousands of US Passport Photos. We are happy to say that these is not even a single photo ever been rejected by US Government. 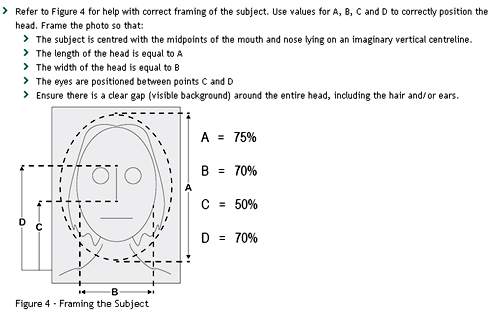 US Government guide line for US Passport Photo. In color 2 x 2 inches in size. Taken within the past 6 months. Make sure that the photo meets the Government specs, otherwise your application will be rejected and sent back to you. Please remember, after 9-11, all official ID photos are subject to strict rules. Download US Passport Application Forms. Applying US Passport in Midtown Manhattan, New York City, NY. New York, Midtown, Grand Central Station Post Office accepts first time US Passport application. US Passport Renewal has to be done by mail. You can fill out and print out US Passport Application. New York City (Manhattan), Grand Central Terminal Post Office is located on Lexington Ave at 44th St. Phone (800) 275-8777 or (212) 330-5723. You can download US Passport Application Form from here. You will need a 2 x 2 photo (same as US Passport Book). How to apply US Passport Card - start from here. Passport Card is NOT good for International Air Travels. 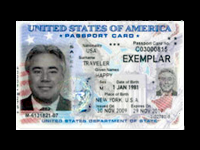 The U.S. Passport Card can be used to enter the United States from Canada, Mexico, the Caribbean, and Bermuda at land border crossings or sea ports-of-entry only. More about US Passport Card is here. All Digital Visa Photo will be verified on the US Government's Website before sending to you. Digital Visa photo's qualification for DS-160 or EVAF online application is guaranteed. Digital Visa Photo for DS-160 US Visa renewal form. All Digital Visa Photo will be verified on US Government's Website. EVAF (Electric Visa Application Form). US Visa online application is here. (Internet Explore browser is recommended by US Government. Step 1: We will take a photo of you with a digital camera. 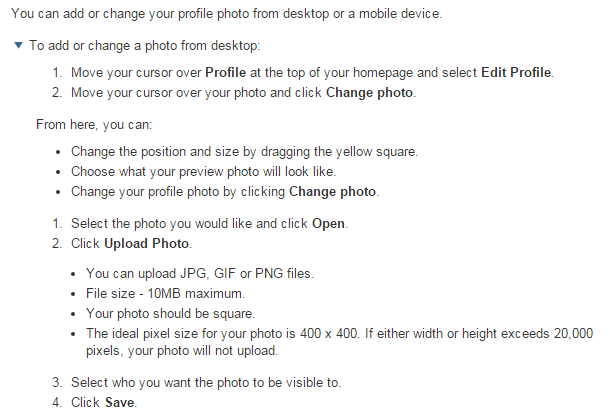 Step 2: The file will be edited in Photoshop according to the Electronic Visa Application Form specs. Step 3: We will verify the digital visa photo on the US Immigration's verification site for its accuracy. Step 4: After the digital visa photo is approved by US Government, we will E-mail it you or write on a CD. you can start online visa application with total confidence. The price for a digital Visa photo is $25.00 (either E-mail or CD). A set of two photo is $10.00 extra. If you want both CD and E-mail, there is an extra handling charge of $5.00(= $30.00 total). Important to note that you will be required to bring photo(s) at interview. Please check your US embassy or consulate. Learn more. you can check your E-mail at our store with your smart phone. once you left our store we can't tell which photo is yours anymore. We don't keep customer's file once you leave the door. How to use DS 160 digital file on a CD is here. We will NOT make digital file from your file or photo. We will NOT copy digital Visa file on to your USB device. How to use the DS160 digital visa file CD for online application? How Can I use the CD for DS160 or A, G and Nato Visa online application? step 1: insert the CD to your PC or Mac before stating application. browse > CD drive(may be D: drive) > select file > open > wait for confirmation. Your CD doesn't work on my company's PC - no image found on the CD -. Why? executable files such as .exe or Jpeg extensions. Solution: Try with other computers which are not part of the network, like a PC at home or your personal notebook. Our US Green Card Photos have never been rejected by US Government, even a single photo. That's why many immigration lawyers are recommending us, here in New York City. Unwritten rules on Green Card photos - Both Ears shown. No earrings. No smile. No eyeglasses. There is nothing clearly written on the US Citizenship and Immigration Services (USCIS) web site about Ears, Earrings or Smiling. However, we've seen many photos rejected simply because the ears are not shown or the person is smiling. This is particularly the case for Green Card and US Citizenship application processes. with your both ears shown, no earnings or no smiling. The purpose of the photo is to get your US Visa or US Immigration process achieved promptly. Just let your both ears shown, take off your earrings and no smiling and you are just fine. By the same token, we strongly recommend that you would take your eyeglasses off..
no reflections from the lenses nor frames. But HOW clear is CLEAR to US immigration officers? 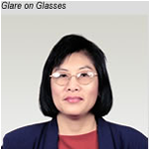 Without eyeglasses, your US Immigration or US Visa process will go smoothly with no problem. With eyeglasses on , there is a chance that the photo would be rejected. Why do you take chances here? In short, let's make your US Visa and US Immigration photos as worry-free as possible. You can't go wrong with "Both ears shown, no earrings, no smile and no eyeglasses" photos, then why not? How to get your Green Card renewed. Green Card Renewal. How to become a US Citizen. US Citizenship. 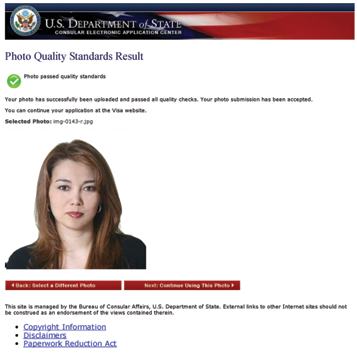 Our US Citizenship Photos have never been rejected by US Government. You need a set of two 2" x 2" photos, white background with space in the margin. What is the "Space in the margin" of US Citizenship Photos ? 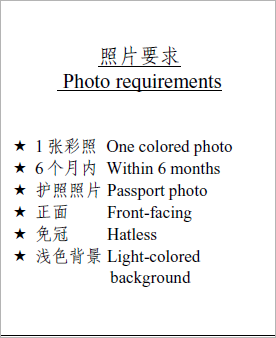 You must include 2 standard, passport-style, color photographs with your application. to sign your full name if your application is approved. Taken within 30 days of the date they are sent to USCIS. You should print your name and a number lightly in pencil on the back of each photograph. 1. What do they mean by "there is enough white space in the margin of the photographs"? -1 On the same page they write " 2 standard, passport-style" photos. -2 The sample photo on the same page is nothing different from regular US passport photos. So what do they mean by "enough white space"? Here is the answer we received from a Naturalization Immigration officer. -1 They need space so the applicant can sign on the photo (see our sample photo). -2 They want space above shoulders, so the signature can be right ON the photo. -3 They are NOT requesting any extra space outside of the image. Bottom line is that as long as you can see enough space for a signature on the photo, it's fine. Just be careful if you have "big hair" that diminishes this space - brush to the back or tie them up. It's not about you look pretty with big hair, it's about your application accepted smoothly. 2. How to "print your name and a number lightly in pencil on the back". The problem is that regular pencil doesn't work well on back side of photo paper. 1. A Naturalization Immigration Officer told us that using an eraser works with regular pencil. First, rub a couple of times on the area where you will write, then write with a regular pencil. 2. Or, using a 4B to 6B pencil, also known as "graphite pencil" or "carbon pencil" works on photo paper. They are available from rag-shop or art supply store. We will cut the ID photos to the exact size of 2" x 1 1/2". Please tell us that you need photos for MTA Reduced Senior Citizen MetroCard or Access-A-Ride application. 2 of 2 x 2 inches photos. 2 recent (within 30 days) photos in 1 1/2 x 1 1/2 inches. Digital ID Photos, such as Olympic ID Photo, Student ID Photo, Corporate Headshot. as well as the background.color. $25.00 - One pose with white background for Digital Passport Photo, Digital Visa Photo and Digital Portfolio for Website. Add $20.00 - for each additional pose. Add 10.00 - for Color background (gray, light blue, dark blue or red). The digital photo file will be sent by E-mail or on a CD - we do NOT use customer's USB Flash drive. For US DS160 Visa renewal, US Digital Visa photo, please see here. Instruction is here but not clear and misleading. It does not specify digital format or pixel sizes at all. 22 mm x 35mm is NOT the size of photo. 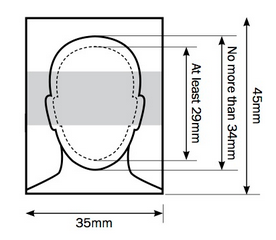 We will get you a Jpeg file of 2x2 at 300 dpi, composing your head size in between 22mm x 35mm. We will take a photo of you and edit the photos according to the Linkedin Profile Photo Specs. 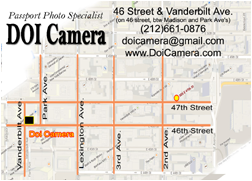 The digital portrait photo will be given either on a CD or sent by E-mail to your smart phone..
Doi Camera has been processing Worldwide Passport Photos in New York City since 1971.
passport photos and visa photos precisely as requested. Copying our Web site is absolutely illegal. All contents of this Website is reserved by Doi Camera, New York, NY, USA. in English and in foreign languages to protect our copy rights. If you steal our contents, Doi Camera will take definite legal actions necessary. so that everyone in this business know what you are what you did. Afghanistan Passport - 1of 2 x 2, white background, taken within 6 months. Albania passport photo - 5 of 50 x 40 mm, white background. Algeria passport photo - 2 of 2x2 white background. Argentina passport photo- One of 2x2 inch, white back, color photo. Argentine DNI Photo - One of 4 cm x 4 cm, white back, color photo. Argentine Visa photo - 3 Passport Photos 2 x 2. Web site is not clear about the size of photo, but Argentine consulate general of NY accepts 2 x 2 (US standard) photos. Armenia Passport Photo - 3 of 35mm x 45mm, taken within 6 months. As of October 1st, 2008, we stopped taking Austrian Passport Photos. Following is just for your information only. Please see the link Austrian Consulate General for detailed information. Australian passport photo - We are taking many Australian passport photos a day. Two of 35mm x 45mm with light colored background. 4. appropriate brightness and contrast and show your skin tones naturally uniform lighting (no shadows across or behind the face), sharp focus and clear. No appointment necessary, please walk in. Where we are, business hours, contact us. 35-40mm wide and 45-50mm high. Good quality colour on high quality paper, with no ink or marks on the image. Plain, light-coloured background (e.g. cream, pale blue or white). One of 35mm x 45mm Photo, white background, head and shoulder. No specific head size in the photo. Bahamas Passport Photo - 3 of 35mm x 45mm, taken within 6 months. Consulate General of Bahamas in New York. Belarus passport photo - 4 of 4cm x 5cm, identical photos, un-cut. Taken in 6 months. Head size(chin to the top of hair) 32-35 mm, straight, white back, 40x50 mm 4 photos on a sheet. Belarus consulate general New York requires these photos uncut. One of "passport size color photo" - it does not specify the size. Belarus Visa Application looks 35mm x 45mm. Some customers were requested Red color back photos for Bolivian Visa Photos. don't know who and why the red back photos were requested. If you need Red back passport photos, we can do it at $25.00 plus tax for four photos. Major changes on Brazil Passport and as of November 5, 2009. All forms must be submitted on line, print, sign and attach the following photo. 1 of 2 x 2. No date required. Major changes on Brazil Visa as of November 5, 2009. All Brazilian Visa forms must be submitted on line, print, sign and attach the following photo. Please see UK passport photo. Bulgarian Consular of New York will take digital images of the applicant�fs signature, face and fingerprints. BVI Passport Photo - 2 of 35mm x 45mm photos. Please read this BVI photo requirements before come to us, because it is very particular. No bare shoulders, no Alice Bands. You can download BVI (British Virgin Islands) Visa application from here. A jpg file smaller than 1mb. We will take a digital photo of you with a proper back, re-size the jpg file for Cambodian E-visa and E-mail to you or burn on a CD. You can directly upload the jpg file to Cambodian E-Visa site application. We�'ve encountered numerous different kind of photo cases that are not acceptable by e-Visa application such as applicant taking photo together with their pet, friends, or family. We also encountered some photo where male applicant didn't wearing any shirt or some wearing extra such as cap or sun-glasses. These photos are not acceptable for e-Visa application. because the photos do not meet the specifications for Canadian passport photos." You have to be very serious about Canadian Passport and Canadian Visa Photos. There are 4 (four) different types of photo requirement for Canada. Please specify what Exactly your Canadian Photos are for. Wrong photo is a major reason for rejection of your application. *1 No Guarantor's signature required on Canadian Passport Simplified Renewal Form. *2 Digital Visa Photo for Online Canadian Digital Visa Application is also available. see here. Canadian Passport Photos are very particular. before you come to us. Avoid White clothing (you will be sitting with white back). No Glasses (avoid any chances of rejection due to reflections). 50 mm wide X 70 mm high (2 inches wide X 2 3/4 inches long) and sized so the height of the face measures between 31 mm (1 1/4 inches) and 36 mm (1 7/16 inches) from chin to crown of head (natural top of head). reflect your current appearance (taken within the last 12 months). Stamp has to be on back of one of the two photos. We have Canadian Passport Photo Stamps ready at our store. "The stamp should be on the back of one photograph. The photos might be rejected if there stamps on back of both photos." 4. Have known the applicant personally for at least two years. may act as guarantor, provided he or she meets the requirements noted above. Canadian Simplified Passport Renewal doesn't require guarantor's signature. and the date the photos were taken. you can use regular back stamp with guarantor's signature space left blank. you submit a previous Canadian passport that: was/is valid for 5 or 10 years; is not damaged; was never reported lost or stolen; and is still valid or expired for no more than one year. New Specs for Canadian Citizenship Photos (revised August 23, 2017). 2 of 50mm x 70mm photos with store name and photo date stamped on back. 2 of 5cm x 7cm photos, one of them has a back print on. Two of 35mm x 45mm, chin to "crown" 31mm to 36mm. Not all applications can be submitted online at this time. permanent residence through our Express Entry program. You will need a valid credit card and the ability to upload documents to apply online. For details on Online Canadian Visa Application is here. 35mm x 45mm, face in the middle and the top of shoulders in. Final file size should be more than 60 kb ( 240 kb ideally). 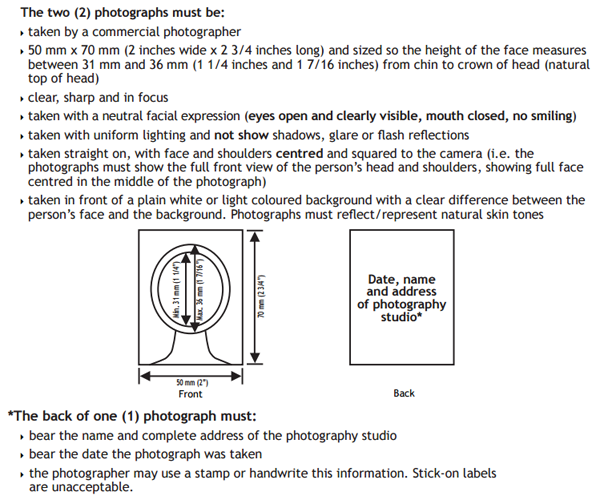 FAQ about our Passport Photo Services - here. 4 of 33mm x 48mm photos - We can cut exactly 33 mm x 48mm. The background: white or pale blue. Must be taken within 6 months. There are two ways of applying Chinese Passport. 33 mm x 48 mm Photos. Head height 28mm - 33mm, head width 21mm - 24mm. As of July 19, 2011, the Visa and Passport Office of the Chinese Consulate General in New York will require all applicants to use the 2011 edition of the "Visa Application Form of the People's Republic of China". The Website does not specify the size of photo, but 2 x2 with white background photos have been accepted. For more on Chinese Visa Photo info. Consulate General of the People's Republic of China in New York. Colombian passport photo will be taken digitally at consulate office. Colombia Blue Biometrics ID card - 3 of 4cm x 5cm photo, white back. Colombia Pink ID card - one 2.5 cm x 3 cm, white back, dark clothes. Costa Rica passport photo - 2 of 2 x 2 or 35mm x 45mm, white background. Dos fotografias a color tamano pasaporte (fondo blanco). It is not clear what does "passport size" mean.but we are taking 2 x 2 inches. If they need 35mm x 45mm, then you can always cut down. 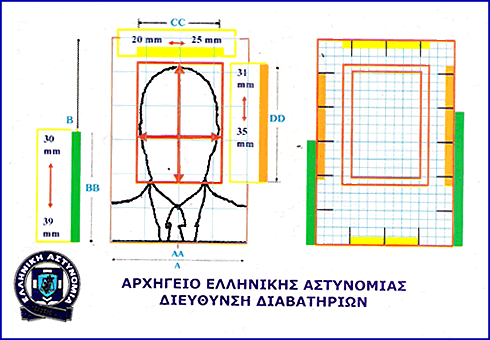 Cyprus passport photo - Biometric info will be taken at passport office. New E-Pas system - biometric data will be taken at passport office. 3 of 4cm x 6cm, white background. Estonian Passport photo - new passport photo spec as of Feb 1st, 2007. (min 20mm for 11 and younger), white back, mouth closed. Ethiopian Passport Photo - 4 photos, size not specified. 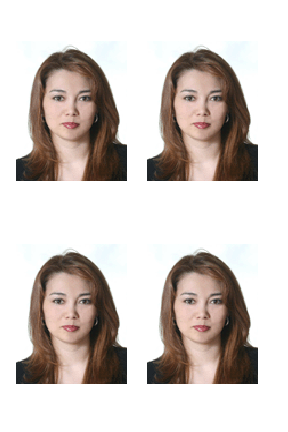 Four recent, color passport size Photographs with white background with the name of the applicant at the back of the photograph. Finnish passport photo - We are processing in 4 cm x 5 cm (see below). Finland's explanations on Finnish Passport Size is confusing. - It says that regular EU size of 35mm x 45mm is NOT accepted = so it's NOT 35mm x 45mm. - It says the size MUST BE 36mm x 47mm - here.
" Extra space around the head only makes it easier to scan the photo. In fact, it can often be useful to leave the edges of the photo intact." - There is no mentioning as to what exactly outside size they want. We will give you a set of two photos in 4 cm x 5 cm outside and the head size is 25mm - 35mm. French Visa photo - 2 of 2 x 2 showing forehead hairline and ears. 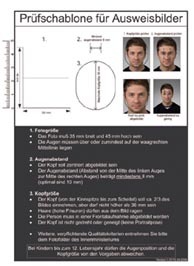 German passport photo - new ePass regulation. 2 of 35mm x 45mm, 32 to 36mm from bottom of chin to hairline. Photo size is 35mm x 45mm. The size of the face in the photo is 32mm x 36mm. The 32mm to 36mm measures from the Kinnlinie (= chin line) to Gesichtsho"he (= top of face). Germany Visa Photo 2 of 35mm x 45mm, face size same as German Passport photo. We are NOT offering Greek Passport Photos. Please contact Consulate General of Greek in New York to find a store who can help you. Below info is for your reference only. one of 4cm x 6cm, head 31mm - 35mm. light-colored background and the face looking directly into the camera. the application will be rejected by the Central Division of Passport Issuance in Athens. Haitian Passport Photo - 2 of 2x2, white background. There are two ways to apply for Hong Kong Passport. One is with Paper (Photo Print) application and other is by Online Digital file. 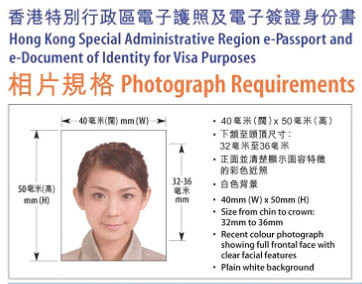 Hong Kong Passport Photo - one of 50mm x 40mm white back, head size 32mm - 36mm. Digital file for Hong Kong e-Passport online application. Digital file for online Application for HKSAR Passport. and burn it on a CD. Takes 5 - 10 minutes. $25.00 plus tax. Hong Kong Visa Photo - 2 of 50mm x 40mm, white back, color. Hungary Passport Photo - two of 35mm x 45mm white background. 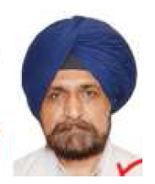 Indian Visa photo - one (or more) 2 x 2 size photo, white background. Indonesia Passport Photo - 2 of 2 x 2 white background. 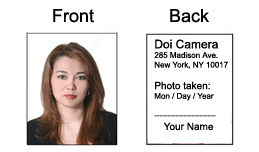 If you are a US Citizen applying Indonesian Visa in NY, what you need is a 2x2 white back photo. 4cm x 6cm (from Hong Kong), 35mm x 45mm, 3cm x 4cm or 2cm x 3cm. We can make any sizes, please tell us what you need. 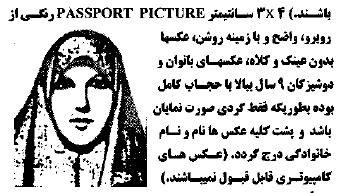 Iranian passport photo - White back, no eyeglasses, no hat. Special scarf requirement for women over 9 year old. If you are applying Iranian Passport Renewal in Iran, they want 4 of 4cm x 6 cm. Don't worry about these "Jpeg format", "Pixels", "Compression rate" or "File size" mentioned below. It's our job to take care of these things. Just come to our store and give us 15 minutes. We will take a photo of you with a digital camera, graphically edit the file to satisfy Irish Passport Photo Requirement, and send that digital file to your smart phone. This whole process will be done while you wait(takes 10 to 15 minutes). Don't forget to bring your smart phone with you. If you are renewing your passport, you are over 18 and are not changing any of the details recorded in your passport you should apply using our Online Passport Application Service. 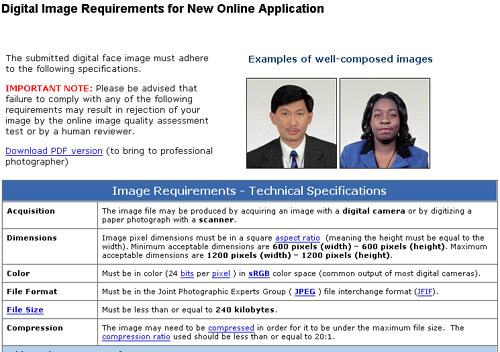 Photographers taking Passport Photos must be aware of some differences between taking photos for the existing postal based system and the new Passport Online service, which requires a file in digital format. 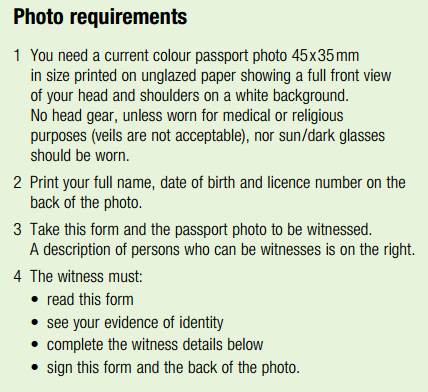 It is essential that the photographs submitted with the application meet the Passport Office photo guidelines. Israel passport photo - 2 of 5cm x 5cm (= 2 x 2) photos. Two of 35mm x 45mm. The size of face should be 25mm to 35mm. Monday - Friday: 9:00 a.m. - 12:00 p.m.
Japanese passport photo- new rule since March 20, 2006. Japanese Visa Photo - 2 x 2 white back, 35 mm x 45 mm or 3 cm x 4 cm. Japanese Visa in general - one of 2 x 2 photo. we recommend "ID Photo Center" in Mita, Tokyo. Korean Visa - 2 of 2x2 or 35mmx45mm photo, taken within 3 months. 4 of 4cm x 6cm with blue background. 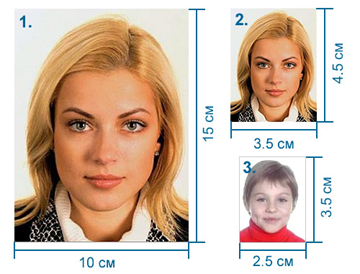 Lithuania passport photo - 2 of 40mm x 60mm, head size 31mm to 35mm. Malaysian Passport Photo- Three 3.5 cm x 5 cm photos. Malaysian Government's site recently changed its rule from Blue background to white. So did the Consulate general of Malaysia, New York. If you need an old Blue background photos, we can do it for you too. The Web site says " Two recent passport size photograph" - it does not say what size or color of the back. and white back in different sizes. Please double check the size, color of the background and quantity you need before you come to us. There seem no standard with Malaysian Visa Photos. Mexican passport photo - 2 of 35mm x 45mm. 2. No eyeglasses, no earrings, no necklaces. Consulate General of Mexico in New York. Morocco passport photo - Two 35mmx 45mm gray background photos. Composition as per the specs below. Morocco passport photos are very particular. Morocco National ID photos - 4 of 35mm x 45mm Gray background. Morocco Visa Photos - 2 of 2 x 2 photos with White background. Myanmer Visa Photo - 2 of 2 x 2 photos with white background. We don't process the Netherlands / Dutch passport photos. You might want to contact The Netherlands Consulate General in NY where the photo is available. The below is provided for information purposees only. Nepal Passport Photo - 3 of 35 mm x 45 mm white background photos. Three recent color photographs (quality) with such specifications: Borderless, color, white background, eyes open, clearly visible ears, neutral expression of face, face coverage: 70% to 80% of photo area, no shadow on the face and on the background, size 35 mm x 45 mm or 2in x 2in). more details. Nepal Visa Photo - One of " Passport style photo"
- 35 mm x 45 mm or 2 in x 2 in. 2 of light coloured background (not white or dark) photos, 35 mm x 45 mm. No back print required anymore. NOTE: Do not use matt paper, heavy-backed thermal paper or an ink-jet printer. 2. Digital application - Jpeg file same as New Zealand Passport Application. Norway passport photo - will be taken at Norway consulate general in NY. Norway Visa Photo - same as Schengen Visa 35mm x 45mm. Pakistan Passport Photo - Will be taken at Consulate office in New York. Papua New Guinea - 3 "Passport size" photos - 2 x 2 is being accepted. 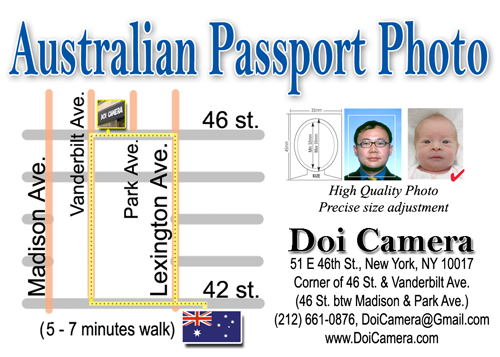 Papua New Guinea Visa - 1 or 3 "passport size" photos - 2 x 2 photos are being accepted in NYC. Philippines Passport Photo - there is no Philippines passport photos required. *Your photo will be taken digitally by our processors during the passport application enrollment step. Lost or Irregularly Acquired passport - you need one of 35mm x 45mm white back photo. Polish passport photo - One of color photo 35mm x 45mm, must be within 6 months. The old Polish passport photo style is not acceptable after September 1, 2006. Applicants for a passport must appear in person at this Consular Section of the Embassy of Portugal in Washington, DC. So you don't have to bring photos with you - digital photo will be taken at the Embassy. Identification Card (Bilhete de Identidade) 2 recent color photos, size 1 1/2 x 1 1/2 inches (smaller than the regular American passport photos), white background, front view, no dark glasses, head coverings or lens reflections, for those who wear glasses. Qatar Passport Photo - two of 38mm x 48mm with gray background. Qatar Embassy's Web site only mentions two of 2x2 photos. It does not say the color of background. The photos will be taken at the Consulate General of Romania in New York. 6 (not 4) of 3cm x 4cm color photos, 7mm white border at bottom. Please make sure how many Romanian Photos you need before come to us. Some are requested 4, others are requested 6 photos. 4. No head gear, jewelry or eyeglasses. 5. Monotone clothing without brash designs. 6. The thickness of photo is less than 0.3mm. If a digital file is required, we will take a photo of you and make a digital file in Jpeg and save to CD. We will NOT send the file by E-mail or save to your USB device, write on a CD only. The Russian Domestic Passport is said to be replaced with "Universal electronic card". Russian International Passport Photo - 5 of 35mm x 45mm, head 32-36mm, off-white back. 2. Must be taken within a month before applying passport. 4. Don't cut - Russian consulate will cut the photos. 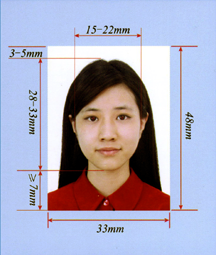 The photograph must be a full-face view in which the visa applicant is facing the camera directly, with eyes open. Schengen Visa for many European countries. Two of 35mm x 45mm EU standard size photo, white back, front face. such as France, Swiss. (there is no such "passport size photo" in the world though). If you want us to cut to 35mm x 40mm, we will, but all photos we made in 35mm x 45mm have been accepted in all Schengen countries without any problem in the past. -1. Hard copy application - one of 35mmx 45mm, head 25mm to 35mm, Matt or Semi-matt, white back. We will take a photo of you digitally and make the file according to Singapore Passport Photo Specification. The file will be given to you on a CD. 400 x 514 pixels in Jpeg file, the final file size should be about 150 kb. You have to show your "Eyebrows" and Ears. * Image must be taken within the last 3 months . * Photograph should be in colour, must be taken against a white background with a matt or semi-matt finish . * Image must show the full face and without headgear (headgear worn in accordance with religious or racial customs is acceptable but must not hide the facial features) . * Taken within the last 3 months. Your photograph image attachment file must be in JPEG format ('jpg' extension); file size should be about 60 Kbytes; dimension of the photo image has to be 400(Width) by 514(Height) pixels. Write your name on the back of each photo. Slovakian Consulate General of New York. According to Consulate General of South Africa in New York, they need 4 of 2x2. However, they also state that "Please note that color photos which comply with the International Civil Aviation Organization (ICAO) standards for passports photo images are required for South African passport applications. ", which is 35mm x 45mm, and the sample on the Website is 35mm x 45mm with gray background. Sample photo on South African Consulate's Website. 2 x 2 white background is being accepted in New York Consulate General of South Africa. de frente y con la cabeza descubierta. New York, NY 10155 U.S.A. Unclear what exactly the requirement is, but 2 x 2 white back is being accepted in NY. Below is the one from NY consulate. However, the application shows 35mm x 45mm. Moreover, UK site indicates that the photos will be taken at the consulate office after March 2014. "Please Note: From March 4, 2014 SVG will commence the issue of the more secure e-passports, which will be valid for adults for 10 years and for children (under 16) 5 years. There is currently no requirement to update the machine readable version if it is still valid, but upon expiry and renewal the e-passport will be issued." As of January 4, 2010, all passport applicants must apply in person at the Embassy of Sweden in Washington DC in order to be digitally photographed at the time of the application. Swiss passport photo - the photo will be taken at passport office digitally together with fingerprints. Please see How to obtain Swiss passport instructions here. Consulate General of Swiss in New York - How to apply for Passport 10. Taiwanese passport photo - two of 35mm x 45mm, white background. Tanzanian passport photo - 5 of 4cm x 4.5cm, sky blue background, ears shown. They accept 2 x 2 size(=5cm x 5cm) in the US. 10. Photograph must show no hair on the forehead, ears or part thereof. 11. 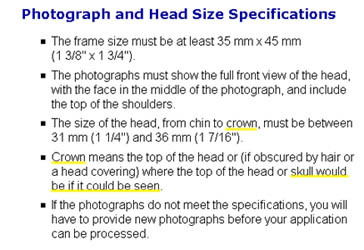 Photograph must show a close-up of the applicant’s head and top of the shoulders. 12. Photograph must show a neutral expression (not smiling). 13. Photograph must show eyes open and mouth closed. 14. Photograph must be taken without glasses or without coloured contact lenses. 16. One (1) pair of earrings is permitted (must not obscure any part of the applicant’s face). Trinidad and Tobago Passport Photo spec is here(PDF). According to Turkish e-passport Web site, Turkish Government is on ICAO international standard. Therefore the size of photo is 35mm x 45mm. But they want the photos cut to 50mm x 60mm. Both Digital and Photo paper versions will be ready while you wait at the store. We are offering Digital Passport Photo for UK according to the UK Government`s rules. The digital passport file will be sent to your smart phone while you wait via e-mail. If you don`t own a smart phone, we can write the file on a CD. April 2008 - New Regulations on British Passport Photos. Two of 35mm x 45mm, within the last month, against light grey or cream background. Head size between 29mm - 34mm, on low/medium gloss finish paper. "We recommend that you remove your glasses". 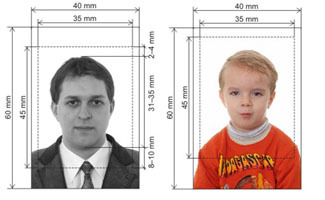 Infants under the age of 12 months: we only require that the image shows a good likeness. The requirements on eyes open and mouth closed, for example, are waived. Applicants with either physical or mental disabilities may find it difficult to meet our requirements. Note: We don't stamp on back of the UK Passport photo for signature. Because the countersignatory should "write" and sign on back. The person who countersigns your application form at section 10 (your �ecountersignatory�f) should also certify one (not both) of the photographs. They must then sign and date the statement. It is not enough just to sign and date the photograph. One passport sized colour photograph. This must not be more than 6 months old. Unlike US DS160 online application for US Visa application, UK visa online application does NOT require a digital file. Your digital file will be taken as a part of your Biometric data at a Visa Application Centre, so you don't have to prepare a digital file for UK visa online application system by yourself. The specification for UK Driving License Renewal Photo is same as UK passport photo. Less than 2mb, Jpeg, 35mm x 45mm at 300 dpi. Ukrainian passport photo - 3 of 35mm x 45mm. no head cover, smile is not forbidden. The maximum quantity required is 4. " Uruguay passport photo - photos will be taken at NY consulate office. The web site does not specify the size of photos or if you need them. Vatican passport photo - 2 of 35 mm x 45 mm, white back. Also a digital file - 35 mm x 45 mm at 300 dpi in jpg. Person in uniform is permitted. Electric Passport - the photo will be taken at the Venezuela consulate of NY. Ordinary Passport renewal - a 2x2 photo, white background. Vietnam Passport Photo - 3 of 4cm x 6cm, white background, look straight at camera. or 3 of 2 x 2 white background. 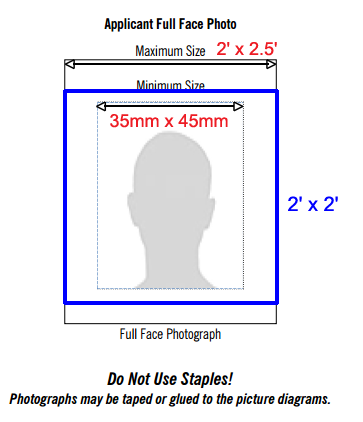 Zimbabwe passport photo - 2 of 35mm x 45mm (head size not specified). Special dress and hair requirements. All contents of this Website is reserved by Doi Camera, New York, NY 10017, USA. so that everyone in this business know what you did.